The majority of budding entrepreneurs, unfortunately, fail to take advantage of a small business ERP (Enterprise Resource Planning). The majority of small business owners these days believes that small business ERP software is a waste of money and should not be acquired. However, the growth rates of countless businesses that have started using small business ERP is a proof that it can be very effective in managing the business. 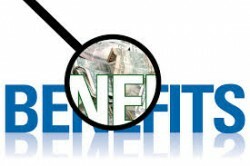 The big question then is what kind of benefits will a small business reap by choosing to use ERP? Here are some advantages of using small business ERP. Usually, small businesses tend to have multiple resource management and information storage methods as opposed to synergized solutions such as small business ERP. What these businesses do not realize is that the time they spend moving from one file to another can be seriously reduced with the help of ERP software. The time and effort that is saved by the use of small business ERP can be then better channeled elsewhere. In the kind of setup bereft of small business ERP described above, taking information from one file to another becomes a big task, especially if the small business has been around for some time. Small business ERP, on the other hand, is designed to simplify the process of information transfer from one module to another. This means that small business ERP again ends up saving a lot of resources and time. The majority of small businesses on the Internet or off it input data into their departmental modules manually. This can result in major errors cropping up in the data. Similarly, sometimes technological mistakes can occur as well. Small business ERP can prevent these errors by simply automating and simplifying each process, ranging from input of data to its transfer. As small business ERP would allow data sharing between multiple modules, it would become easier for the business to analyze data from various modules and arrive at decisive conclusions about the trends in the market. Since these trends can be used to improve the existing strategies of the business, it can be said that small business ERP can also end up boosting the revenues and profits of the business in question. In a nutshell, it can be said that small business ERP allows the business to save time, money and even effort in the long term. Furthermore, use of ERP software would also result in the business’s revenues and profits increasing. Therefore, the use of small business ERP results in the business becoming more efficient and profitable. ERP and how it helps your small business act like a big one When Accounting Software is not enough Think Big? Think Again! Is your ERP clock running out?